Strand on Beauty Giveaway – Get your skin ready for Christmas! In the last few weeks we’ve all been bombarded with posts about what to buy for Christmas and I’ve started to wonder whether some of us might be spending so much time on shopping for gifts for others and forgetting that we need to take care of our own skin so that we look our best through the festive season. So here’s your chance to get something just for you. 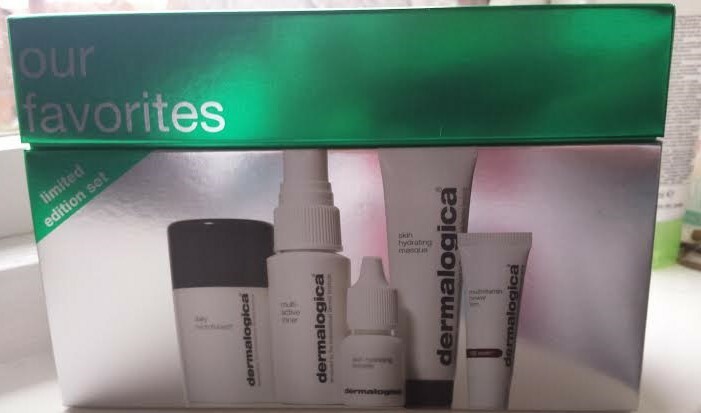 You’ll remember that I’ve been telling you about the magic that Dermalogica can do here and now I’m giving you the chance to WIN this brilliant Limited Edition Dermalogica Set worth £30! It contains five travel friendly favourites – Daily Microfoliant®, Multi-Active Toner, Skin Hydrating Booster, Skin Hydrating Masque and Multivitamin Power Firm. You can enter via Rafflecopter here. The giveaway is available in the UK only. The give away is now closed. The winner is Katie Skeoch. Look out for more gieaways soon. Next postLa Roche-Posay – The Secret’s Out!